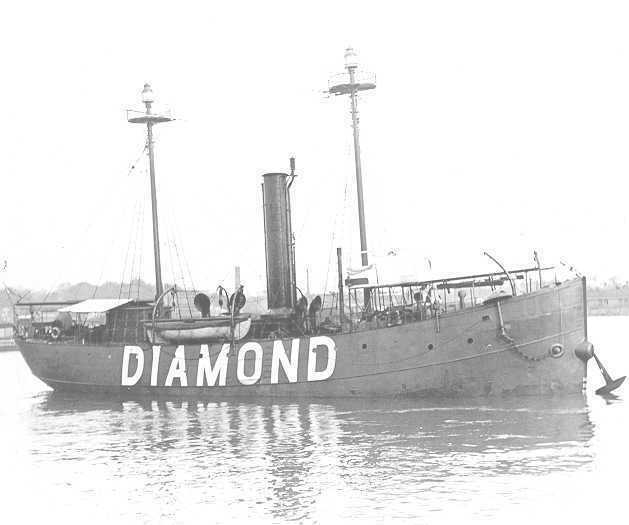 On August 6, 1918, Diamond Shoals Lightship No. 71 was shelled by a German submarine while anchored off Cape Hatteras. The lightship, which had just sent a wireless message about the submarine’s shelling of the USS Merak, served as a beacon at sea to warn mariners of the dangerous shoals that formed off the coast. As a result of the blows, the ship quickly sank. The lightship’s crew of 12 rowed 10 ten miles to shore in a small lifeboat. “We succeeded in getting away and never did mortal man row as we did that afternoon,” the chief engineer later recounted. The lightship was quickly replaced by another that was kept to use as a backup. The German submarine that took the ship down, U-140, also claimed the Standard Oil tanker O.B. Jennings 100 miles off the Virginia coast and the four-masted schooner Stanley M. Seaman off Cape Hatteras in the each of the two previous days. Following the sinking of the lightship, the submarine was spotted just a half mile of the North Carolina coast in busy shipping lane. By sinking American merchant vessels, Germany hoped to the hinder important trade along the Atlantic coast. Taking out the lightship would further disrupt navigation.